Concern is growing for a 22-year-old mother of one who has been missing for five weeks in Virginia. Heather Hodges was last seen on April 9th 2012 by her boyfriend, 39-year-old Paul Jordan. Jordan told police he had left the couple's Franklin County home at about 10:30 p.m. that night to get Hodges a late-night snack at a Dairy Queen in nearby Wirtz. Jordan told police he was gone for approximately 10 minutes and, when he returned, his girlfriend was gone. According to Lt. Todd Maxey, of the Franklin County Sheriff's Department, Hodges left behind her 2-year-old daughter and her personal possessions, including her car, purse and cellphone. A Facebook group called "Find Heather Hodges" has been set up in an attempt to raise awareness about the missing mother. Downloadable flyers and other pertinent information are available on the page. 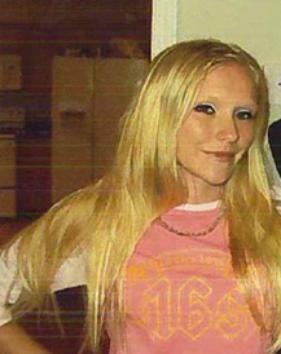 Heather Hodges is described as a white female with blond hair and blue eyes. She is approximately 5-foot-1-inch tall and weighs about 100 pounds. The Franklin County Sheriff's Office Police is appealing for anyone who may have information relating to the case to contact them at 540-483-3000. I have been asked if I would look at the Tarot for Heather Hodges, I do already have a missing alert up for her here on the blogger. Tarot can only provide glimpses of the situation past present and future so please go to other facual sources for known information. Tarot is not considered to be 100 per cent accurate by law please therefore read all Tarot notes and take them into account. It seems to me that there are a few secrets here or someone is withholding them. Here I can give initials B, J, D and an R and it seems to me that there are 28 days of very odd things happening around the question of what happened to Heather. The colour BLUE is very significant here or maybe someone is wearing something blue with a hood? A number 2 also comes up here and also two places, or perhaps two of something, perhaps buildings? Here it looks like someone left a note or that there is some kind of message that possibly has not been received, I cant decide which. Water and a distant mountain range can be seen here. I also have a link to a Monday. I am getting North here and links to The sea, rivers and places near ponds or waters - brooks, springs, wells, wash-houses, sea shores, marshy land, but also basements and cellars. I am also getting something about breasts? or heavy breasts? which is odd but thats what I have. North West can also show here and as this is North I would have thought that this direction had some input. I do feel a sense of danger here. A letter P comes up and the feeling that there is a very secret matter here in respect of this disappearance. Was Heather pregnant? Im seeing a kind of co-operation here so obviously Im thinking of this two or two people. Im seeing some form of platonic love or manipulation, but perhaps intutive feelings kicked in with her about something. Cliffs rock and stone and high ledges can figure and also a little dog, though why that would come in I cant be sure maybe even names of places. But, Im seeing something about a 'mother here' too and a vehicle , a family comes up here and I just feel there is some choice here over love and lust? I am not sure how that exactly relates but I give what I have. Its just a feeling of 'pot luck' here or some kind of feeling of 'by chance' ?? I just feel as though she had a choice to make and took some kind of risk or gamble? Maybe a proposition of some sort? Im getting number 14 and black but also I have a link to transport. I feel like she trusted someone or a situation and this is why she has disappeared. The Magician can show me cliffs rocks and roses but also tools of some kind. Im debating whether there are school references or a teacher here because I have a campus of some sort. I also have a canal so the water is here somehow and some kind of enclosure. Something is hidden and I cant work out whether a secret came out ie, she found a message on a piece of paper or whether she left one but that seems to come up. Im also seeing an Aspen tree though that might be symbolic. There may be some kind of fear or threat here and sexual matters come up as does someone who is dark haired perhaps very hairy and strong. I am seeing possibly basements and cellars, buildings that people dont live in or ruined buildings, damp and decay muddy places and feeling confied and restricted. The name of a bird? A strong man here. An M or W seems to come up here so does a Bridge and bells. A running river and some kind of union with someone else. So two people perhaps at the same place or near the same place? I actually see three people red fair and dark in this picture. They may be women. Something about a tree here and West in direction coming up. Flowers and familiar places appear . Something white comes up too . I see a chance meeting here, nothing planned it just happened. So a randomness here. Some kind of 'container' and feeling that Im being given place of Origin so her own home Town might be where she is. There is a 1 here and the word DAY comes up. This card can actually tell us about a 'new love' on the horizon, so thats pretty odd as apparently she has a boyfriend but this card can offer a proposal of some sort perhaps to go somewhere? The North East , North and North West are all linked so I would say and I could be wrong, that these are the directions to consider. Plenty of water here including oceans, seas fishponds, brooks anything to do with water. Perhaps a bridge is strong too. Theres no doubt that Heather will be found and I have the number 13 on this card which is a 1 and 3 and also added is a 4 ( I made a mistake here and added up to number 5 and have adjusted that - my apologies but given the number 4 we have a major person here who is a spouse, boss, or someone who is dominating over her and also will have a car. This car can be a four door). Church elements come up here and two people who hold the keys. There could even be a Quay, or Key or K name. She is likely to be found unexpectedly and possibly even traumatically perhaps there are other things here that will be quite surprising or shocking. I am seeing metal and something Blue and possibly even that church link here as a Bishop or nun is on this card. East comes up but so does oil and water, makes you think of cars or something like that. Land and water and something GOLD or Yellow coming up here. Also blue green and something spiritual that links with fish, priests normally have a fish sign or jesus sign. Im seeing something connected to someone who is a well built,body is large, and generally quite hairy. The complexion, and hair dark, and the eyes are often dark and penetrating. The face is characteristically square or broad with a short neck, often giving a squat appearance. There are sexual matters here and confined spaces, like basements cellars, untenanted buildings, ruined buildings, drains, wet, damp, near water sources possibly, underground? or dark very dark and thinking North East. I am not sure if this reads well or not for Heather but I feel I can sense 'criminals' or prison or feeling imprisoned here. Obviously Heather will be found as this card tells us yes, but at the same time there might be a link to November but I cant say why. I also think with 13 on the card it might have some reference to time say 2013 or a distance or fit some other way so I cant be absolute about that it might be route. I think the name Michael might come up here. I also see 'cooking references' restaurant or something like that and metal comes again as I see some kind of unhealthy associations or relationships here and 'chains'. I see something about something flat, like a flat tyre? This is a brief look for Heather, I think she will be found but drink/drugs and gambling possibly even gambling might come up. It might not make sense as yet but I am just giving what I am feeling here. Nothing is guaranteed but hope something helps and I will review this tarot if I feel I have left things out. Deputies say forensic evidence leads them to believe Hodges' disappearance was preceded by ... Updated: June 18, 2012 - 4:44 PM ... For 66 days, Heather Hodges disappearance was considered a "missing persons case. The Franklin County Sheriff's Office has changed the case into a criminal investigation. Deputies say forensic evidence leads them to believe Hodges' disappearance was preceded by a "violent act." Investigators do not know whether she is alive or dead. The sheriff's office has a person of interest, but would not give any details about that person. Investigators said from day one there have been a lot of "suspicious circumstances" in the case, and they had been treating it like a criminal investigation as a precaution, prior to today's announcement. This is the only latest news I could find for Heather dated mid October.